HONDA YAMAHA SUZUKI KAWASAKI Motorcycle parts direct from Japan! We provide a personal export service for Japanese motorcycle parts from JAPAN to WORLDWIDE direct. With our convenient and cost effective service, you can order ONLINE and parts will be delivered to your door. Special Offer DID 520ERT2 GOLD CHAIN limited quantity. Top quality chain on the world motocross racing. AMA Supercross, MXGP and All Japan MX. We hope this offer help motocross riders over the world. Don't miss out it. Don't give up to find parts for gray imported bike. 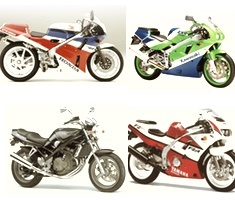 In some case it is still possible to get parts for 80's and 90's Japanese motorcycle parts. Feel free ask us about your bike. We are very happy to help your bike to be revived. © JP-Parts All Rights Reserved.